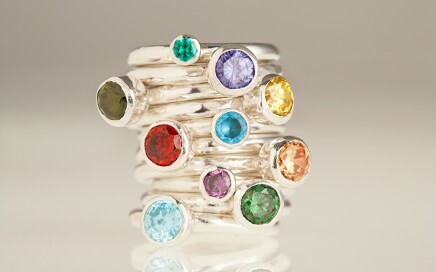 Hand crafted ring made from recycled silver. The ring is forged to create an inside out curve called anti clastic raising. A flat disc, which moves freely, sits in the anti clastic raising. Hand crafted 3mm round engraved silver ring. 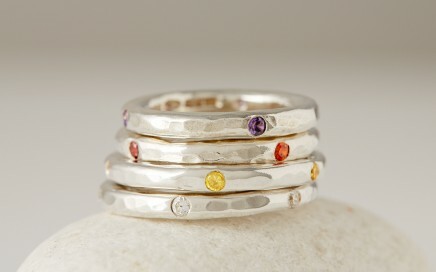 This ring can be worn stacked onto more Love Stack Rings or other rings. 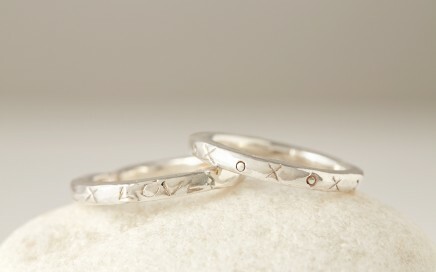 The rings come with either nortes and crosses (Os & Xs) or hearts and kisses. 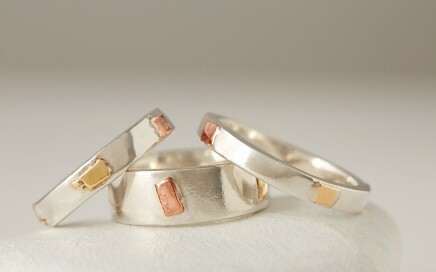 Silver ring with 18 carat ethical Gold and recycled copper for decoration. 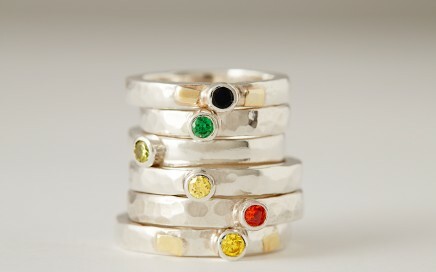 Small chunky rings 3 to 4mm width with round cut Cubic Zirconia’s and 18 carat ethical Gold for decoration. Alternatively the ring is available plain without decoration. 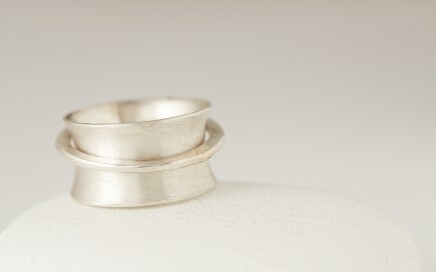 Recycled Silver hand crafted ring. The ring is forged to create an inside out curve called anti clastic raising. 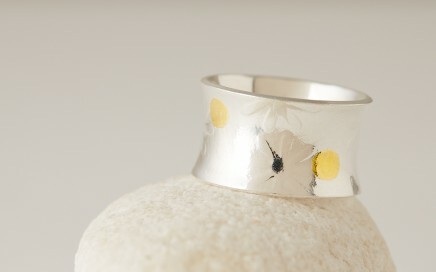 The ring is embossed with Daises and pure ethical gold dots. 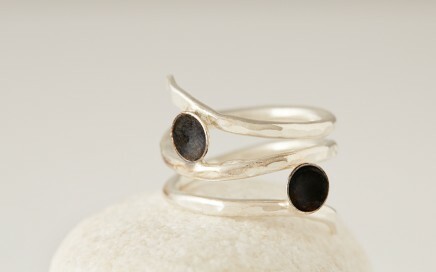 Recycled silver ring with oxidised silver cups.